Finding the right fitness regime that suits your routine or appropriate spa for your skin type will no longer be a messy affair. And, if you are among those meticulous ones, to get things done your way, BookMeIn is just right for you. Not just for the end users, but it’s a win-win situation for the service providers too. Founded in June 2014 by a group of young entrepreneurs- Siddharth Dalal, Ekta Dalal, Nidhi Nanavati Chandel and Chaitanya Chandel, Bookmein.in is a wellness portal which promises a cutting-edge platform for both customers and service providers, where they can connect with each other conveniently. BookMeIn is a web portal that is easily accessable on the web or smartphone. 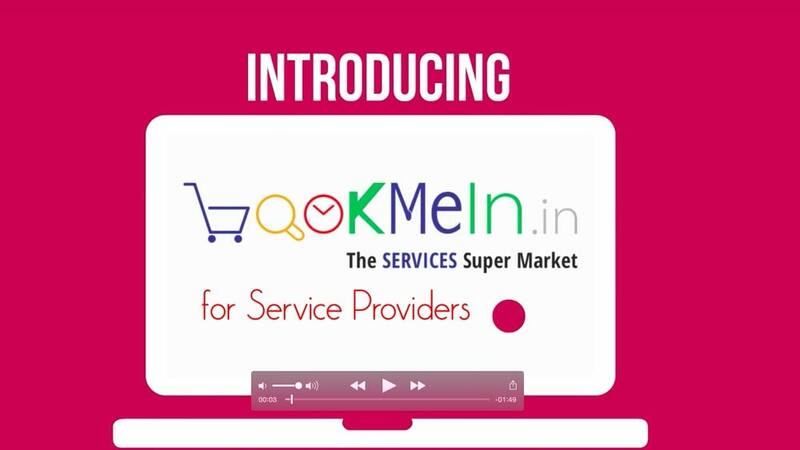 “Our promise to our audience is to provide a marketplace for customers and service providers (Vendors) that enables them in connecting with each other and conducting business in a convenient and organized manner by scheduling online appointments,” said Siddarth Dalal Co-founder, Bookemein.in. Increase in the number of internet users and demographic profile of online users allowed the founders to look into this untapped market. “We were not being addressed well by many of the service providers. Consumers would have to browse several websites and mobile applications for different kinds of services. And many a times there be outdated information available,” said Dalal. Adding further he said, “One fine day while going through a Chaitanya application for a maritime company came the Eureka Moment. We decided to take the initiative of organizing this unorganized segment and it took us six months from ideation phase to launch,” said proud Founder. Being an online trusted marketplace for all services with multidimensional backend services, it provides a rating and comparison with multiple brands. The portal allows the users to browse for local business availability and book their services online. It has listed over 5000 service providers as on date. To book an appointment, one no need to do all that stuff they have to do while booking online. The company makes tools that help them in running their businesses more efficiently. Apart from that, it benefits the users since they can now avail string of services under one roof and at their convenience. Providing all types of services which require users going to Service provider and vice versa, BookMeIn is backed up by SAAS(Software As A Service) to mobile manage the business with calendars, CRM( Customer Relationship Management), HRM Human Resource Management) and BI(Business Intelligence). “According to us a good business will make money. A Great business will make money for people connected to them. BookMeIn is our initiative where a person education is not a hindrance for them to make money. If he can possess or develop one skill we can help him monetize the same. Thus, we are contributing to India’s skill development programme in our way thereby paving the way towards nation’s progress,” said Dalal. To make any venture a success, one had to go through lots of hardship. “The major challenges we faced while setting up the portal was about being highly versatile. We are not sector specific. We cater to multiple niche services unlike many other hyperlocal startups which are sector specific. Also, the concept of going online is for services are still in the nascent stage in India. It’s a tough time changing the age-old perception of consumers that buying/booking Services online is an expensive affair. Most of the services are well within the reach of people falling even in an average financial bracket,” said Dalal. In their recent round of funding, they have raised a capital of Rs. 2.5 Cr form The Ajmera Group of Companies, a 10000+ cr conglomerate, having business interests in the field of Construction, Education, Energy and IT. Firm planed to utilize this investment towards enhancing the end-user experience and to increase the company’s footprint across some of the major cities in India. Targeting urban smartphone users from the age of 16 to 45, startup presently work with the team of 20-30 employees. Currently, receiving 300 to 500 users daily on their website, Founders plan to expand their reach in other cities like Delhi, Ahmedabad, Chennai, Hyderabad. Today BookMeIn provides services in the area of health, beauty, alternate healing, fitness, home services and dealing in more than 35 categories, Startup plans to add more 15 categories in the near future of which some of the sub categories are events and occasions, games and sports, activity and learning. By receiving over 25 per cent of repetitive users, BookMeIn is currently dealing with more than 5000 vendors.